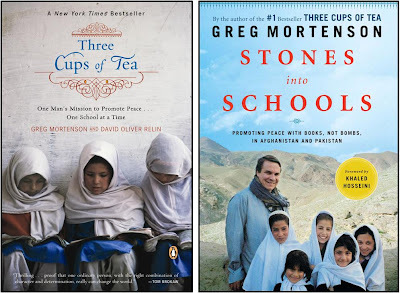 If you were not able to make it to SPU to hear the author of Three Cups of Tea and Stones Into Schools in December, here is a link to the recording of his speech. Some of you may be among those who arrived after all of the seating and standing room had been filled (a very rare occurrence at SPU/for SPL). If you are interested in reading either of Mortenson's books, both are sold on Amazon and Overstock.